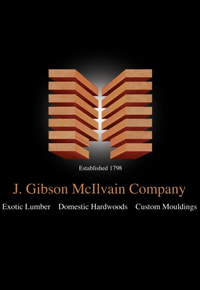 J. Gibson McIlvain Lumber has been in the business for over 200 years. 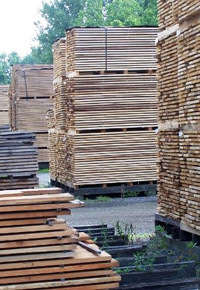 Our former customers include Presidents Adams and Jefferson, and some of our lumber has been used to build the White House as well as the buildings of the Smithsonian. 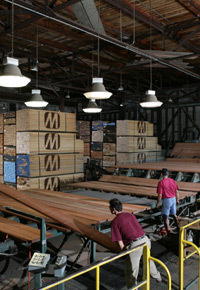 So as a company, we’ve had plenty of time to learn and grow in our understanding of lumber. How can knowledge about lumber help you, as a customer and builder? Below are a few major ways. Let me guess: You’re hearing the echo of a well-meaning teacher who once told you that the only stupid question is the one you never ask. Well, I can think of a few exceptions, but largely, I’d have to agree with that statement. When we ask questions, we research and learn. Without questions and educated guesses, the scientific process by which modern society has discovered all kinds of labor-saving and cost-reducing devices and processes would simply not exist. Even though in some ways, there’s nothing new under the sun (as a wise sage once wrote), we’re still discovering new possibilities for working with the timeless natural treasure we call wood. Our guess is that you don’t know or understand everything about this wonderful resource, either. Feel free to ask — ask yourself, ask your colleagues, ask us. (You can easily ask us a question by clicking here). While we don’t claim to know the answer to every variation on those themes, we’ve been asked many and have done the legwork to discover the answers and solutions, and we love passing along that knowledge to others, as well. 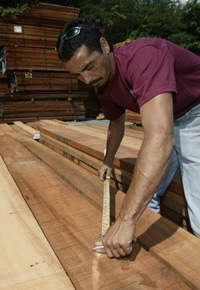 The last thing we want to do is set ourselves up as Great Gurus of Lumber Knowledge: There’s plenty we don’t know. But what we do know has been gained through decades — centuries, actually — of trial and error, good experiences and not-so-good experiences. For instance, we’re relative newcomers to the world of soft woods, and we realized after diving headlong into it that we really needed to re-evaluate our storage and handling of these species. After exploring our options, we decided to create a new lumber distribution yard especially suited to the needs of softwoods. We’re still learning, just like you! As lifelong learners ourselves, we value humility and a questioning mindset. We delight in looking back over our rich history as lumber suppliers, but we also look forward to how we’ll learn more and grow as a company in the future. We’re glad you’re on this journey with us! We’d love to connect and feed each other’s understanding of lumber, going forward. We encourage you to sign up for our occasional informative newsletter and ask questions or interact anytime on our blog.